Exclusively for residents, our complimentary Flemings Mayfair hotel gym is a discrete space to exercise in central London with top of the range Technogym fitness equipment. 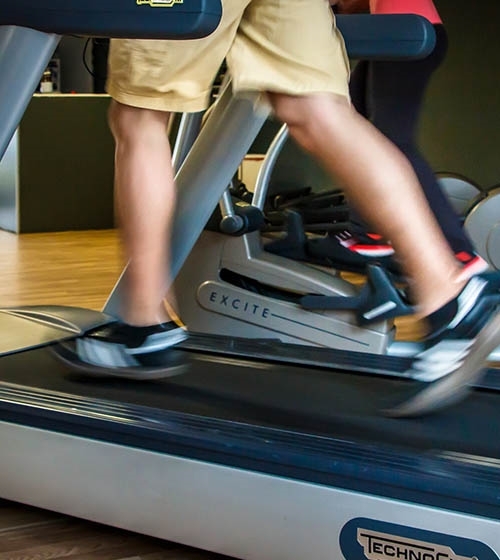 Fully integrated technology is featured on our cardiovascular gym equipment. Our concierge will be happy to recommend running or cycling routes in London, and we can arrange a session with our personal trainer Adam Stansbury, a London Personal Trainer and Nutrition Coach, for the duration of your stay. Adam has teamed up with Flemings Mayfair to assist our guests who need advice on how to improve their health, body composition and performance by using sustainable strategies. Adam was awarded Gym Based Personal Trainer of the Year 2013 at the National Fitness Awards. To book a personal training session with Adam, contact our concierge team at concierge@flemings.co.uk or adam@theplantpoweredpt.com.